Lisa Reitmeier’s work is highly associative. Her installations are open configurations, vaguely suggesting a narrative without offering the viewer any consolation of an end or ending. In a way, her room-filling works – combining objects, drawings, sculptures, architectonic elements, and sometimes video – also function as mind maps and interim reports of the artistic process. Reitmeier rather likes to talk about ‘psychograms’ – schematic mappings of the human psyche. As she points out, the term itself is highly paradoxical, since scientific diagrammatic languages are usually insufficiently successful in capturing subjective bodily and mental states. This is exactly where the artist comes in: where the objective language of science stops, art can begin to make its own suggestions. To create her installations, Reitmeier uses a wide array of materials, from tiles, wood and pieces of metal to latex and concrete, and even trash and dirt. By rearranging and reworking them, Reitmeier explores their poetic and material properties. She intuitively exploits the moments when one material starts to resemble another: latex or wax looking like skin or flesh, for instance. By doing so, she pushes their associative power to the limit. The Freudian term ‘uncanny’ seems quite fitting for how her work appears: highly recognizable yet utterly strange. There is an enigmatic quality to her work, as it is never quite clear what is organic or inorganic, living or dead. Confronted with her arrangements, the question ‘what happened here?’ also comes to mind – almost like on a deserted movie set or in regard to a murder scene. Reitmeier is especially focused on instances where body and mind escape rational control, where their irrational or arational potential becomes visible. Recent topics she is interested in include phenomena such as the Body Integrity Identity Disorder (BIID), intergenerational trauma, epigenetic processes, body memory, bodily and mental inscriptions of violence, torture, rituals, and healing. In two of her more recent works, ergot (2014) and blackening the impact (2015), realized during her residency at Rijksakademie van beeldende kunsten, Amsterdam, she explored the question of bodily integrity and our collective (Western) failure to understand the connection between mind and body in a broader, more holistic sense than science does. During her research on BIID and proprioception, she encountered the fungus ergot, which causes both hallucinations and body parts or limps to die, leading to a strange clash of living and rotting flesh in the same body. This side-effect brought the artist to the topics of mummification and ritual torture, which she reworked in her second installation into a larger narrative about the undefinable zone between life and death. In 2018, Reitmeier broadened her scope by – almost literally – digging into the history of geology and the Earth from both a literary and protoscientific perspective. For a group exhibition in Prague, she developed a multi-room installation in a medieval cellar system with the title Public Paranoia, including various sculptural pieces such as pillars that resembled geological drill samples and indicators of past human presence, such as a (customized) sleeping bag and a shopping trolley filled with ambiguous objects. The work was loosely based on Kafka’s short story ´The Burrow´, and referenced the geological battle between the so-called Neptunists and Plutonists, which Goethe was rather involved with at his time. Goethe, himself a Neptunist, believed that all rocks and stones where formed in a large ocean. Plutonists, on the other hand, believed rock was created through vulcanism, a theory much closer to how we think about geology today. By referring to these possible pre-histories, the artist investigates the subterranean realm in terms of poetic encounters instead of scientific explanations. Especially in a city like Prague, which is overrun by tourists, it seems fascinating to investigate a different stratum than the world above, to see what happens underneath the city, and to turn to the city’s unconscious, so to speak. 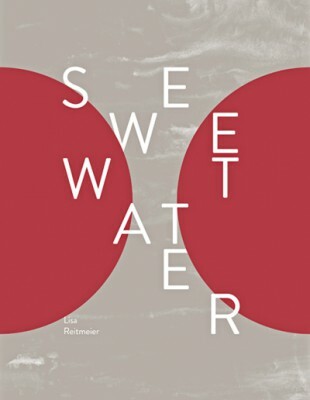 Without becoming didactic, Reitmeier points to issues such as homelessness, surveillance, and mass tourism, while connecting them to and confronting them with some of our most basic human needs, including the need for shelter and safety, but also the psychological need of engaging in poetic imagination, which is often overlooked and underestimated. From the perspective of the artist, the paradoxical forces that shape our living planet, body and embodied mind lead us to a larger question about how to address reality in other terms than through classification and causation, regulation and control. Her installations function as an entrance point, as it where, to access another layer of reality, and to re-explore the complexities of our bodies and minds. It is almost as if she suggests that only by accepting their quirks and enigmas, we can properly comprehend our connection to each other and the world – not rationally and scientifically, but associatively and intuitively, through poiesis, play and ritual. A parallel map of the city inhabited by a mole-like creature exploring long forgotten theses of Neptunists and Plutonists. What lies beneath the surface unfolds in front of your very eyes. Lisa Reitmeier creates a fictional narrative based on an assemblage of true events and literary stories related to the often neglected subterranean infrastructures of the city which finds its translation in a series of sculptures, installations and drawings appropriately displayed in the vitrines of the Municipal Authority of Prague 1 and in a more extended form in the cellar of the Stone Bell House. From Goethe’s many visits to Karlsbad, where he worked on geological research while selling stones to the tourists that went there for cure, to Kafka’s metaphorical story “The Burrow”, Reitmeier brings to our attention ignored spaces and protagonists of urban lives lead in the underground. Goethe was a so called Neptunist and believed a primordial lake to be the origin of all stones whereas the rivalling group of Plutonists was convinced that volcanoes created all geological elements. The mole-like being of ‘The Burrow’ creates his life in an elaborate system of tunnels it has built over the course of its life - serving as a metaphor for the many passages and underground systems of Prague, be it the metro, historical catacombs or the vastest data cable network in Europe - which create almost a parallel pedestrian system - but also bigger issues of who owns the ground and what happens there, when we are used to often only look at the surface of the city. Even though it seems almost like a cliché to deal with Kafka when working in Prague - exactly this notion relates to what tourists very often come to see and what the city itself is exploiting as its cultural capital. Parallely, these hidden spaces of the public sphere not only stratify the geology and infrastructure of a city but also reflect parallel lines of social strata for instance providing temporary shelter for the homeless. In Reitmeier’s installations different fields and notions from geology, architecture, fashion, collecting, psychoanalysis, surveillance and history converge and become a medium to observe, discover and rethink the city differently.